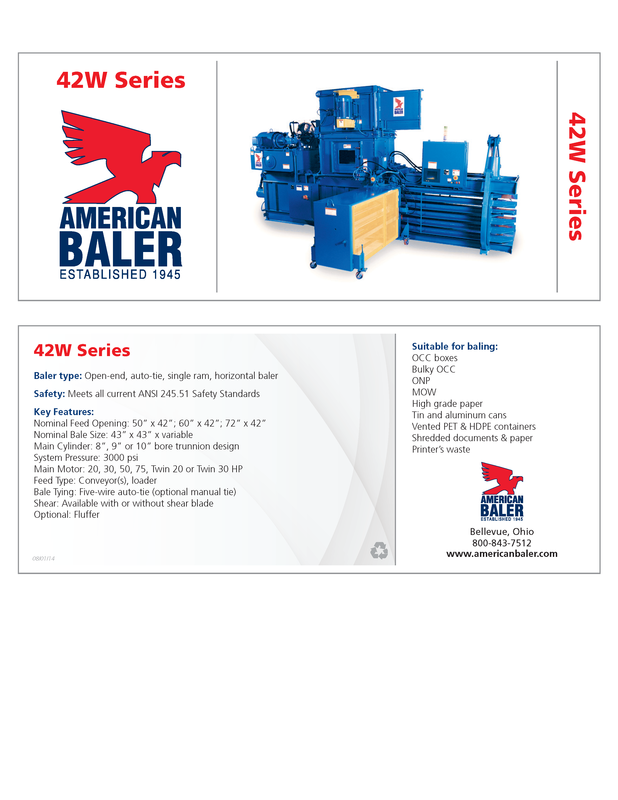 Established in 1945, American Baler Company is one of the oldest and most respected baler manufacturers in the world. 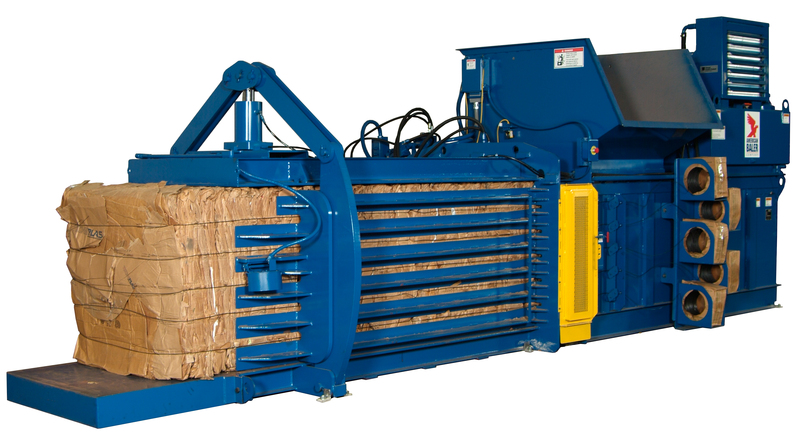 Goettsch is proud to supply the complete line of balers to bring solutions to customers in the International Market*. 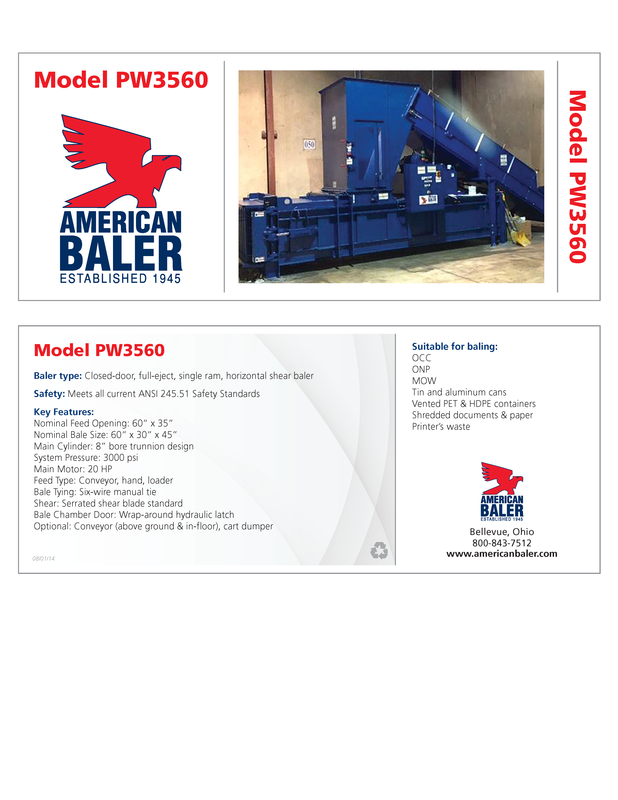 American Baler Company specializes in highly efficient balers that are designed to keep energy costs down and baling wire consumption to a minimum. They build quality machines that are designed to provide years of reliable service. 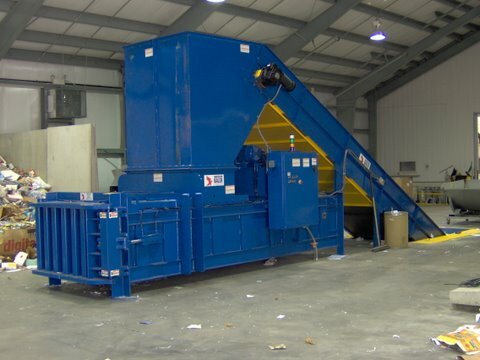 Goettsch understands the investment you have in your facility and our professionals can team up with you to provide the right baler for your application and facility to create efficiencies; and, rest assured, we’re always there to provide on-going parts and service support. The Full Eject Series was specifically designed for low volume users with the possibility of baling a wide range of materials. Cycle Time: Min. 29.4 secs. Max. 20.9 secs. 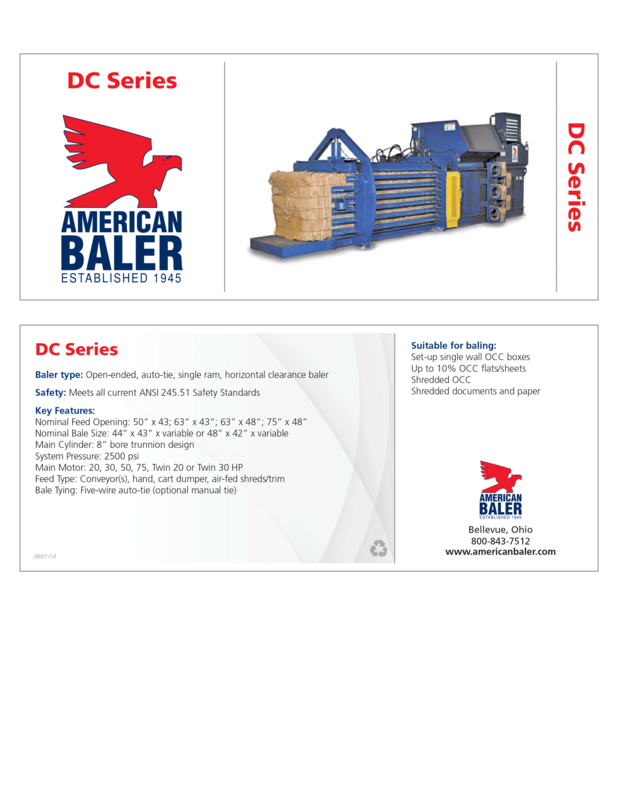 Specifically designed for Distribution Centers, the DC Baler was designed specifically for facilities who handle whole upright boxes. 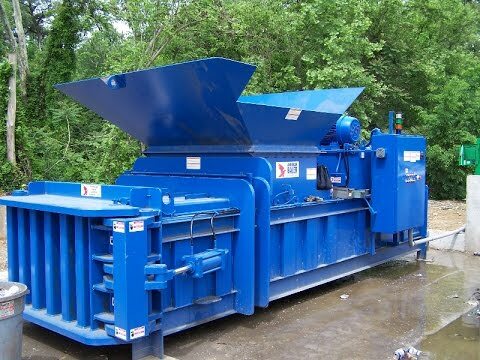 These balers can be used with shredders in high-volume applications. The 42W Series Balers are also ideal for use in Distribution Centers for flattened corrugated boxes due to their wide mouth feed openings.